Hi, I am Steven Blake the creator of OldPain2Go® and my mission is to get as many people as possible out of pain. Would you like to join me? My partner Trudy and I have arranged to come to London so that you don't have to travel so far to me, and that overseas visitors get good travel links to the venue. 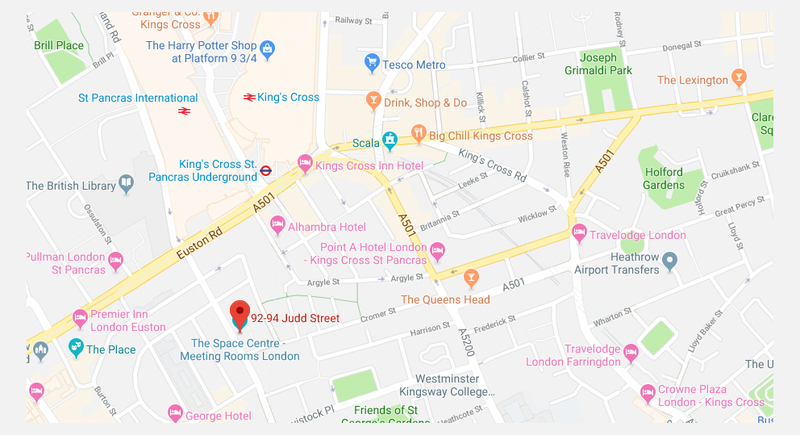 We have managed to get a Training Venue very close to Kings Cross Rail Station - so very accesible for all. The training is just one packed day of learning, not just the technique, also the methodology and understanding of the whole concept of physical pain removal. This is stand alone training, you do not need any other therapy background for dealing with physical pain. Those of you who are currently therapists will easily map it across to their other work of dealing with emotional pain. Be aware OldPain2Go® is likely to change how you work with clients, it simplifies and speeds up the processes as well as melting away client-practitioner barriers. We thank all of you who made this event possible by committing early. So what do you learn? 1. How to instantly overcome any client/therapist barrier. 2. The Fastest EVER way directly into any client’s unconscious (less than 2 seconds). 3. How to work with the unconscious – without requiring any trance. 4. The concept of BrainBargainingTM, how to win over the unconscious with logic. 5. How to reset the safety system. 6. How to get the client to do all the work! 7. How to act as a mind negotiator and translator. 8. Understand the 5 ways of programming, including creativity. 9. Detective work made simple, finding and dealing with the 2 stories (metaphors). 10. Getting direct to the answer. 11. Asking the unconscious what it thinks. 12. Ideomotor responses – getting that first yes, then subsequent ones. 14. Removal of Tension and Inflammation. 15. How to help free clients from Fibromyalgia, Chronic Fatigue Syndrome and Myalgic Encephalomyelitis (M.E.). 16. How to release trapped nerves. Please note payments can be by PayPal or Card (using the greyed box on the PayPal link sign in page). The payment link will be removed 10 days before the event - OR - when all places are taken. Sorry - Ticket Sales have ended. Please see the training Events page for other opportunities. Trudy and I look forward to meeting you.